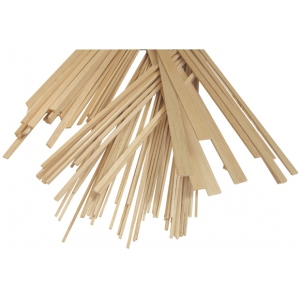 Alvin® Balsa Wood 100 pieces per bundle. * 36" standard lengths unless otherwise specified. * 100 pieces per bundle. The quantity is 100 strips.